Laurie’s big shout-out to moms! A Big Shout Out to Moms! Hey, Moms! Thank you for hanging in there! Please remember that every mundane task, every irritating interruption, every chaotic crisis is a high and holy calling! 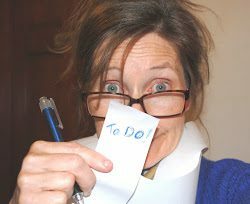 You may not feel angelic as you wipe up another spill, wait up another night, put up with another complaint, and hold up … Continue reading Laurie’s big shout-out to moms!